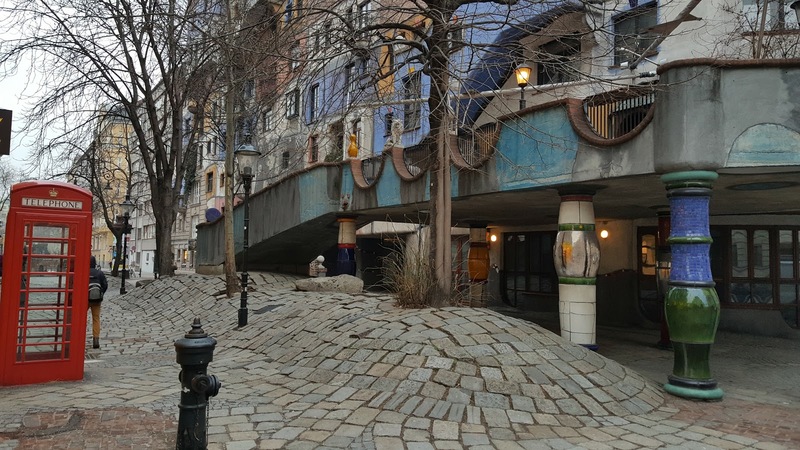 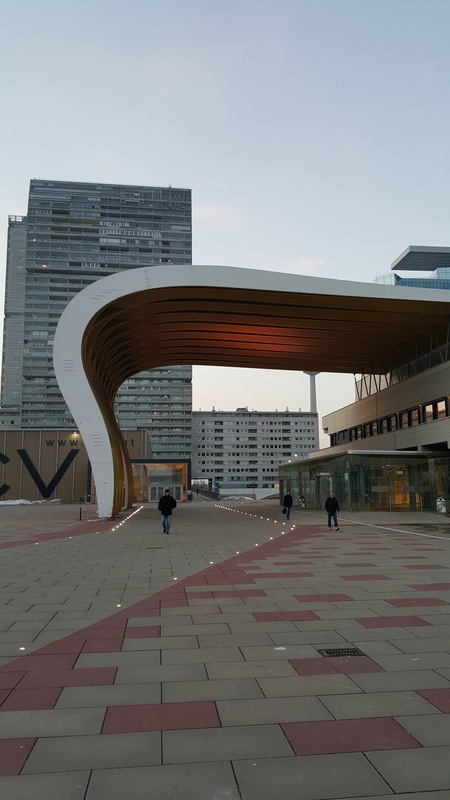 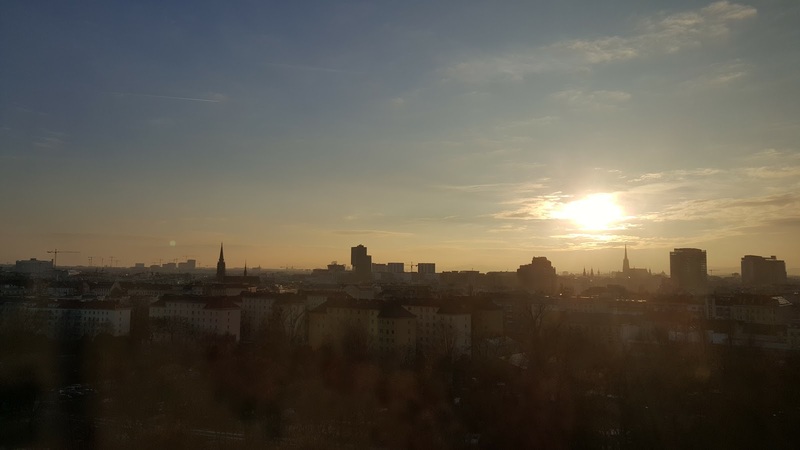 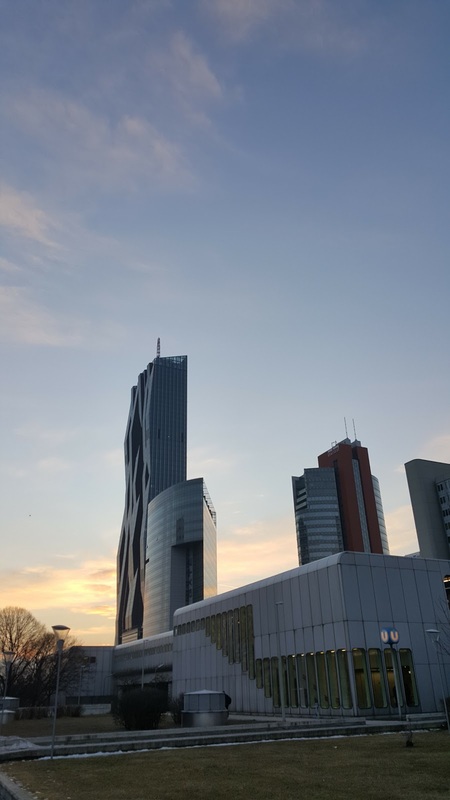 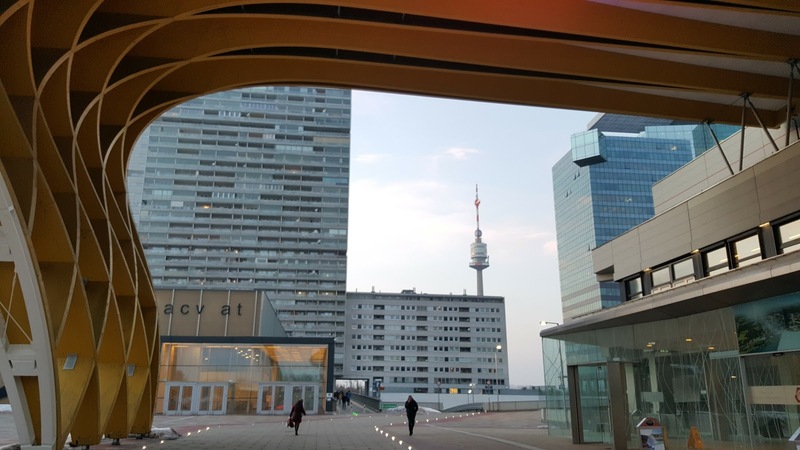 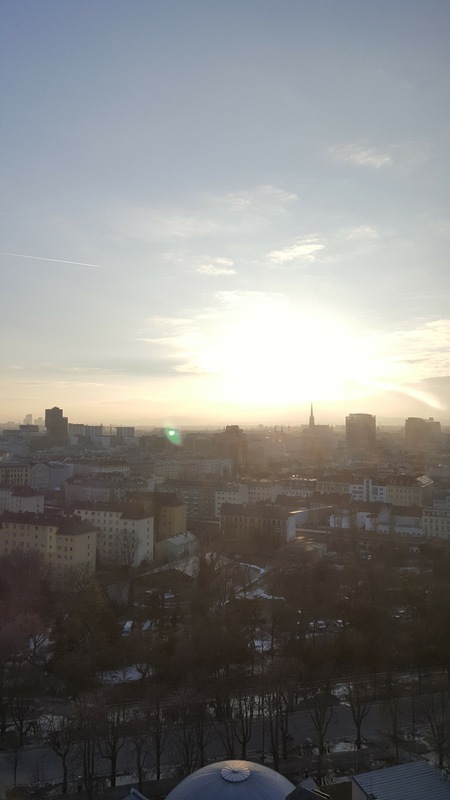 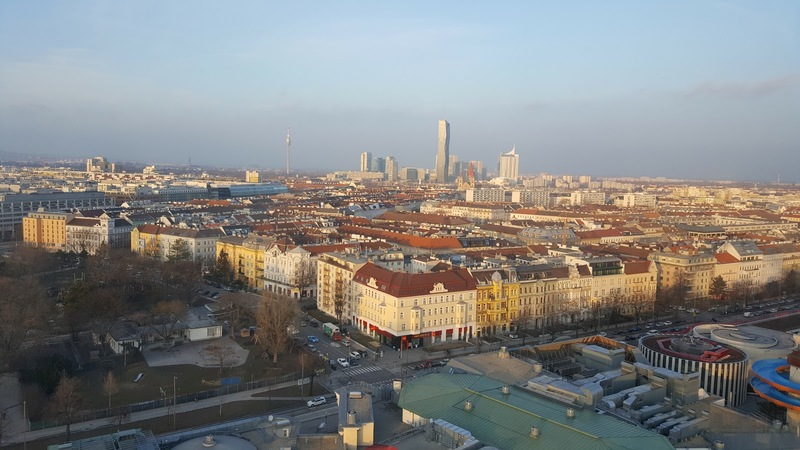 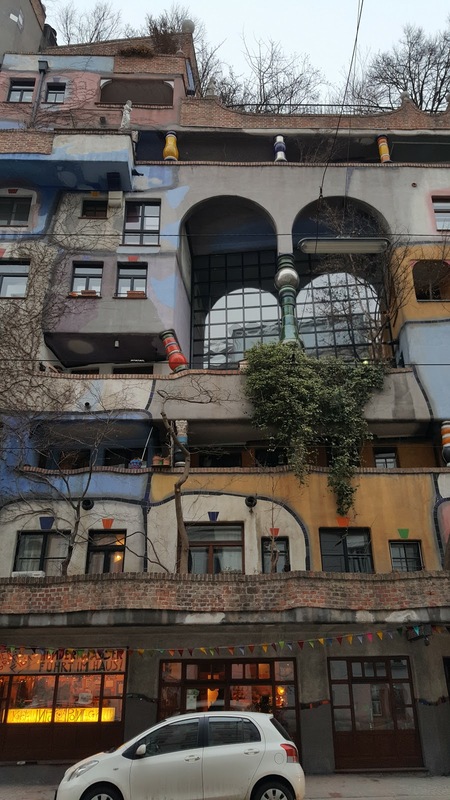 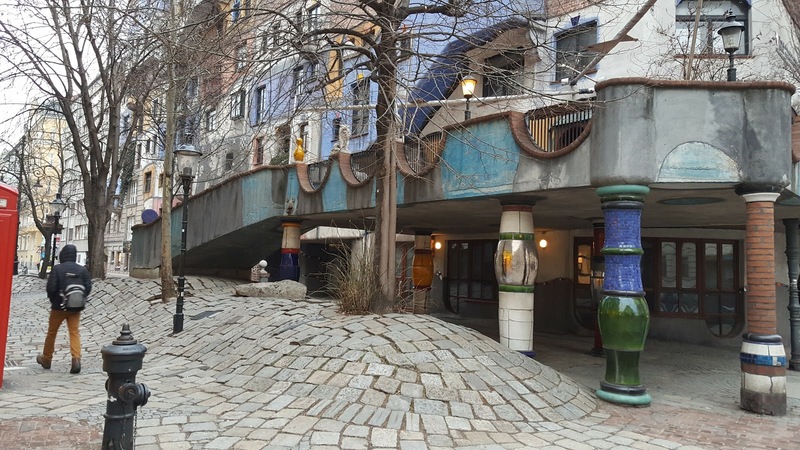 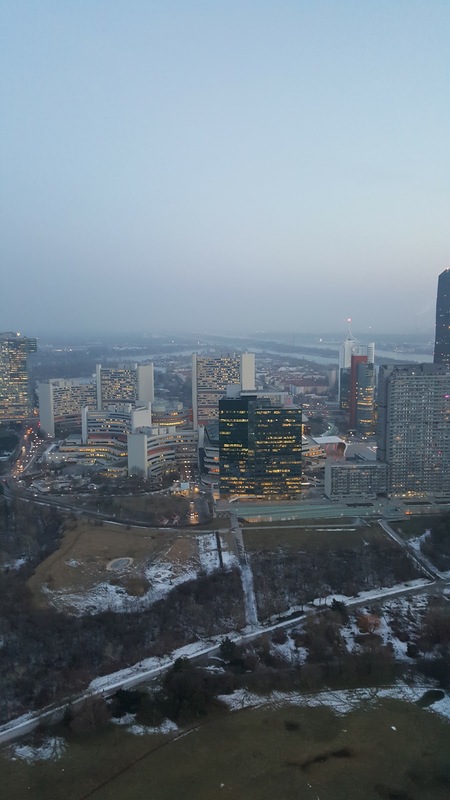 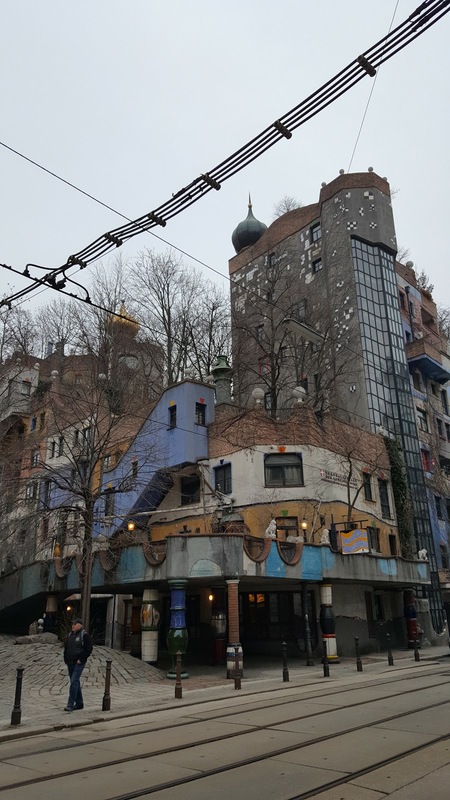 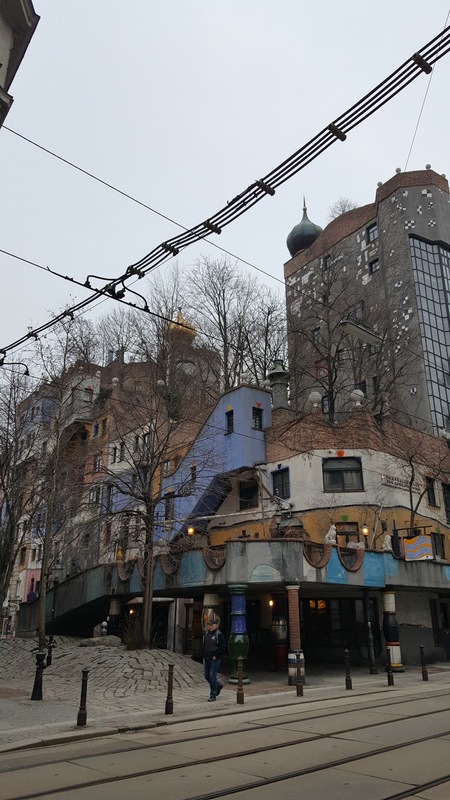 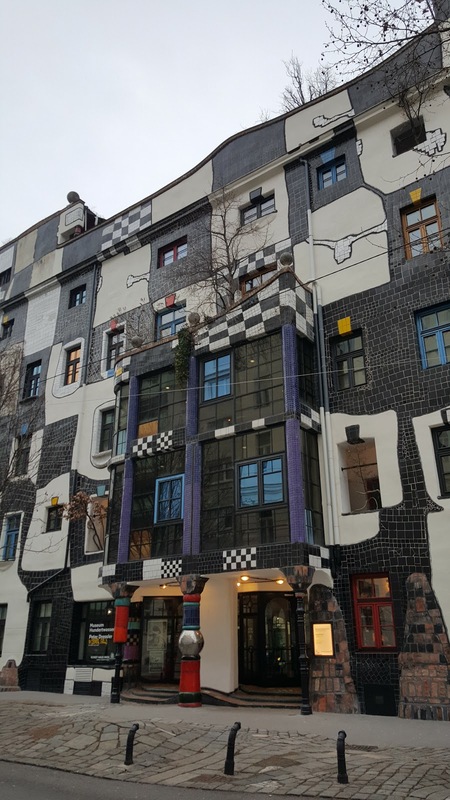 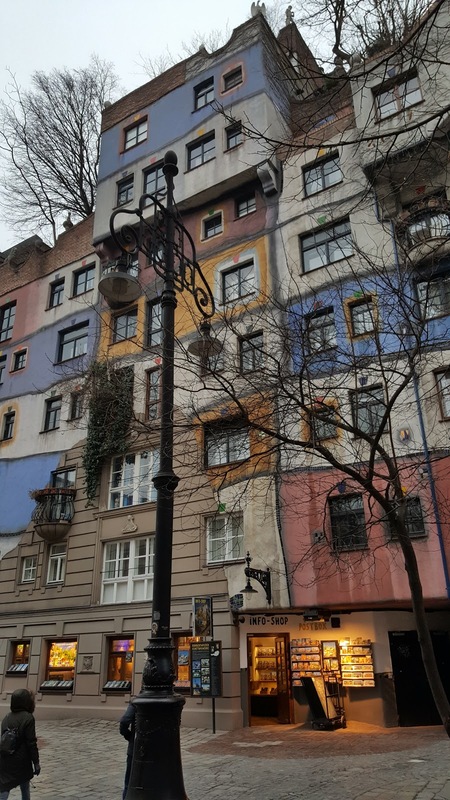 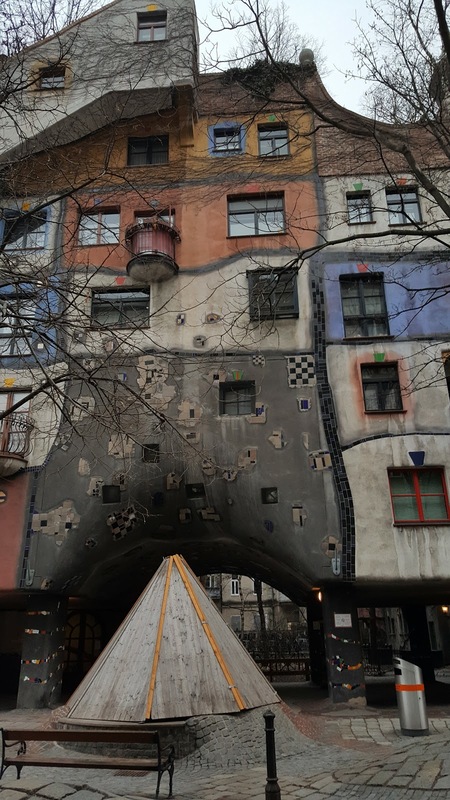 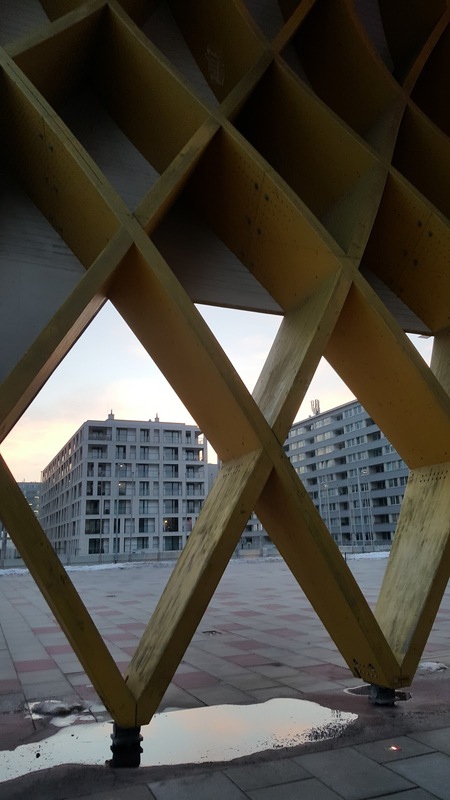 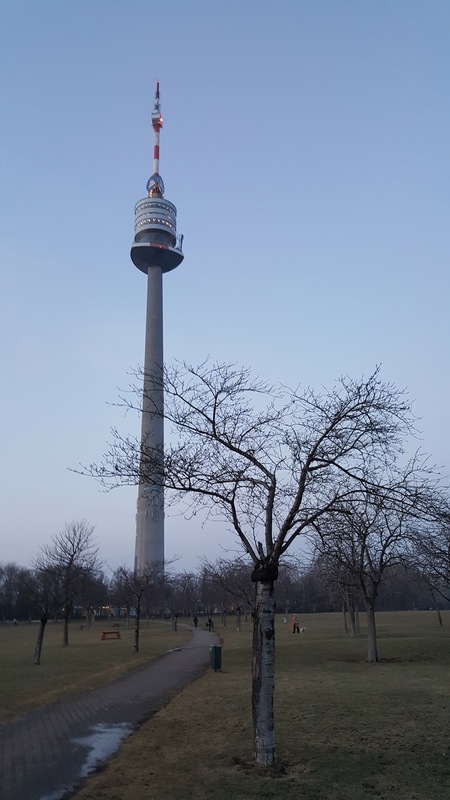 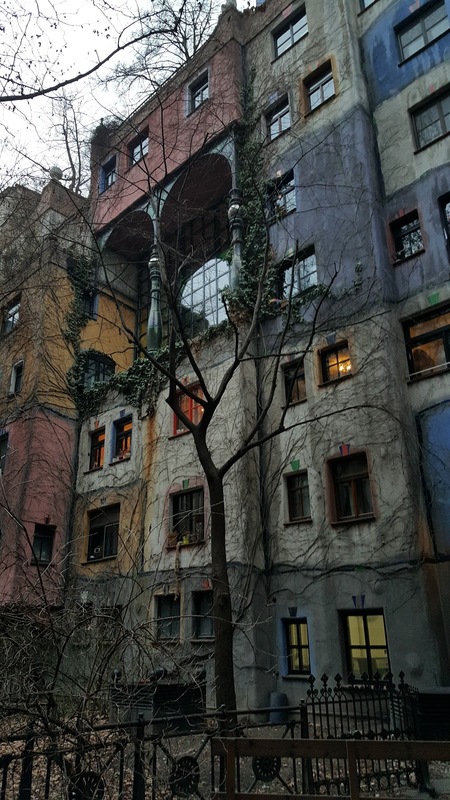 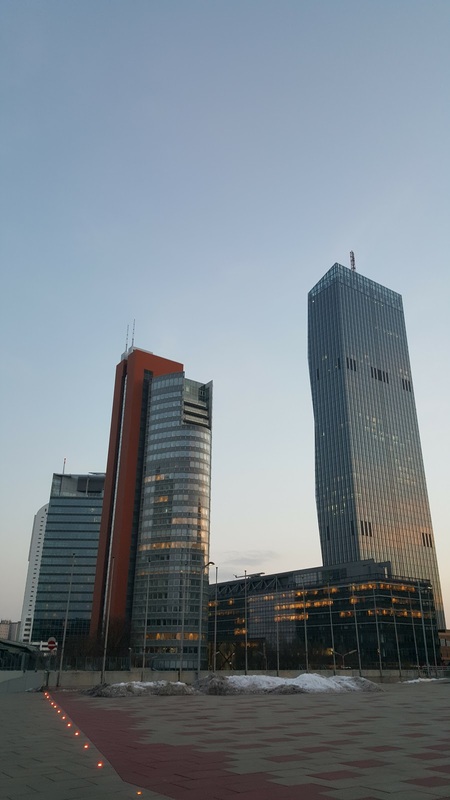 Our city break in Vienna has included everything from rides on Giant Ferris Wheels to rotating restaurants up 150 metre tall viewing towers and viewing insanely crazy architecture at the kunst house. Our next attraction to visit is a giant greenhouse and desert house. 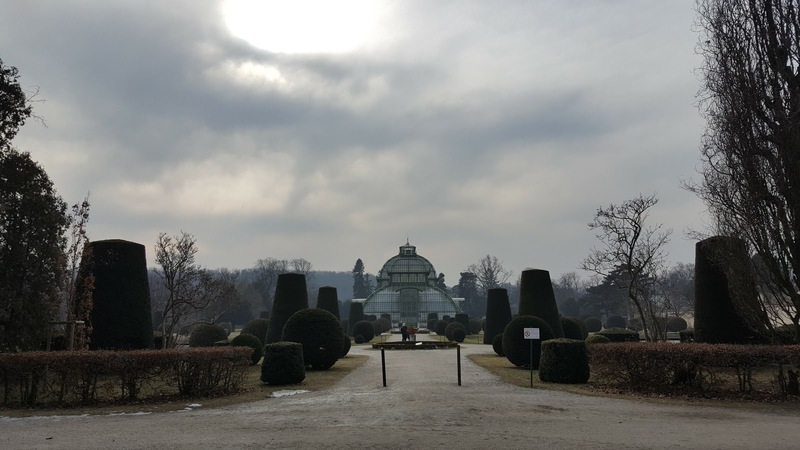 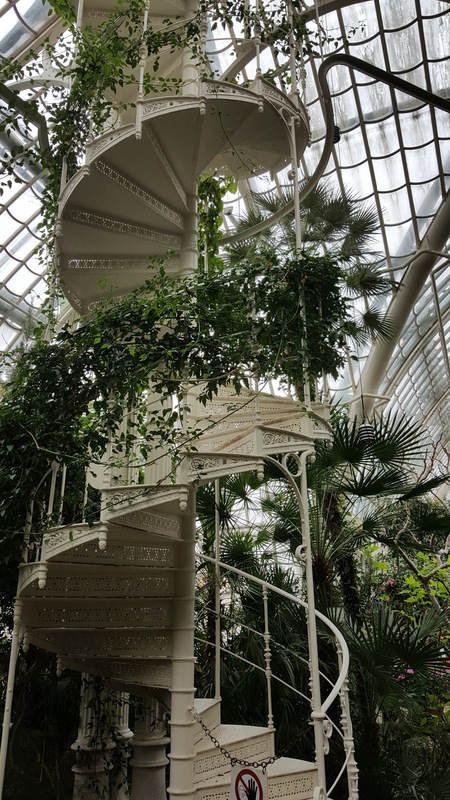 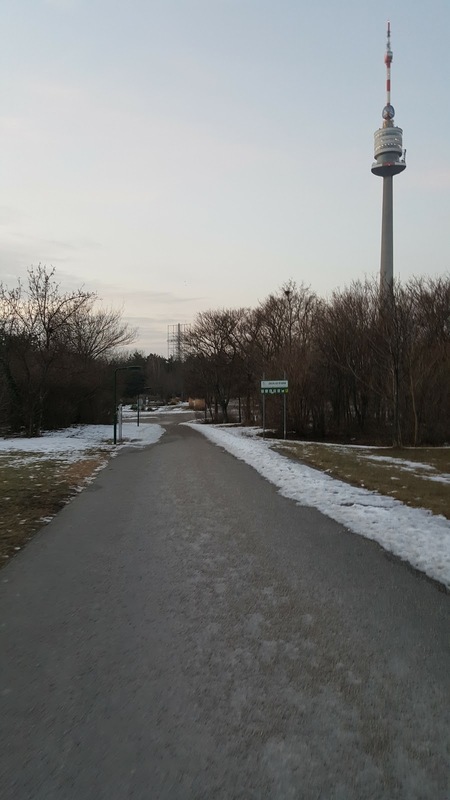 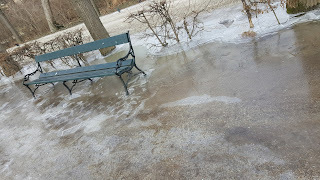 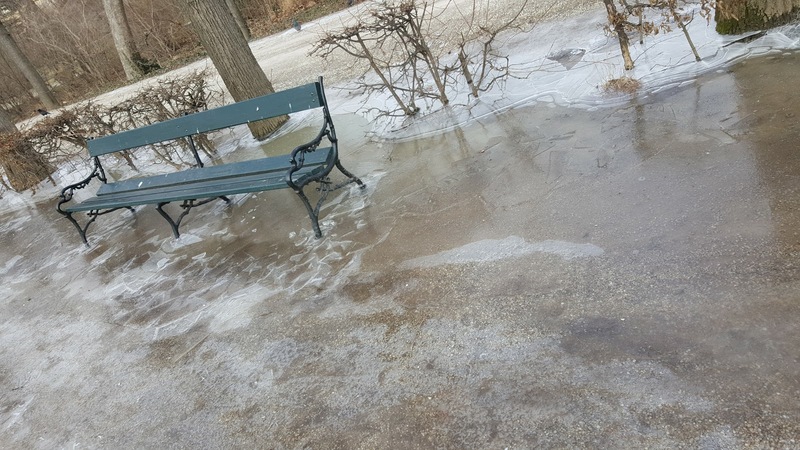 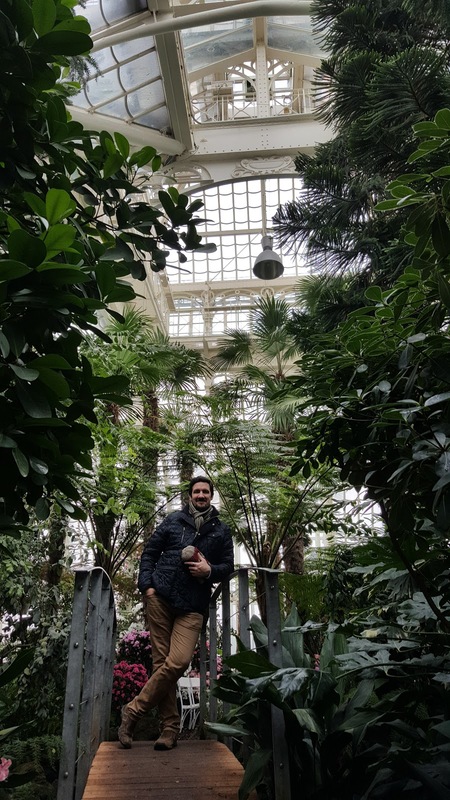 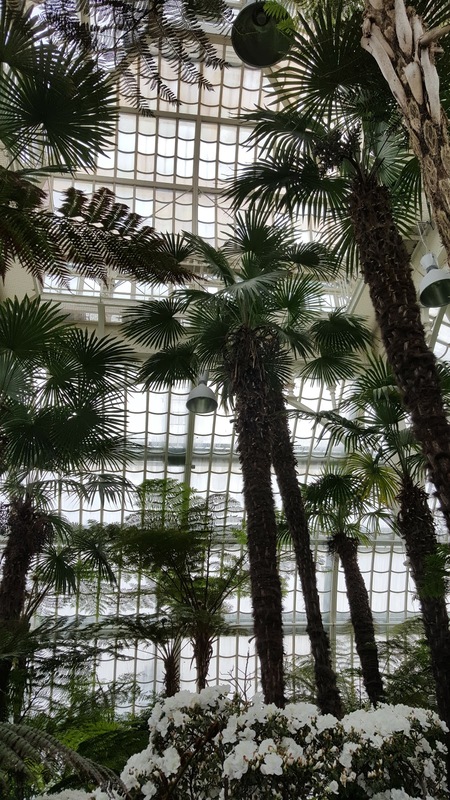 Both situated in the grounds of the Schonbrunn Palace gardens we decided that it would be a good idea for a nice walk through the park to totally freeze ourselves to the core before warming up in the tropical indoor gardens! The Palmenhaus Schonbrunn Palace Vienna. 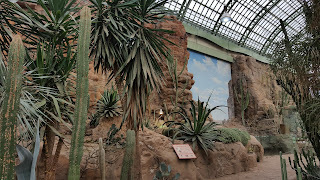 The green house originally opened in 1882 and is filled with hundreds of plants from all over the world. 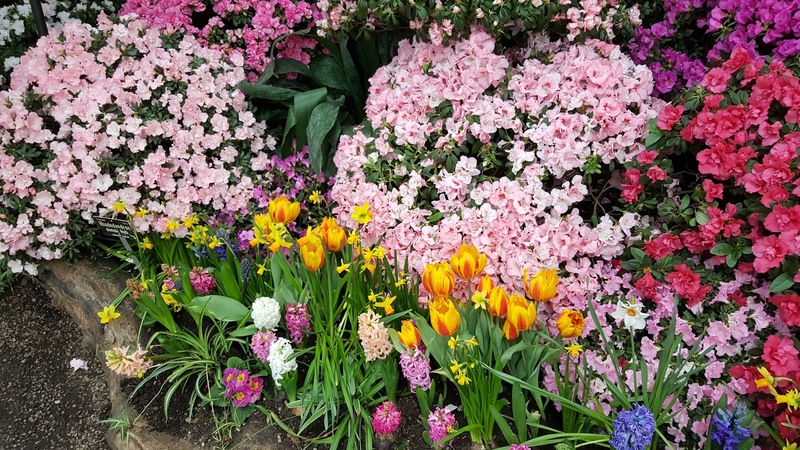 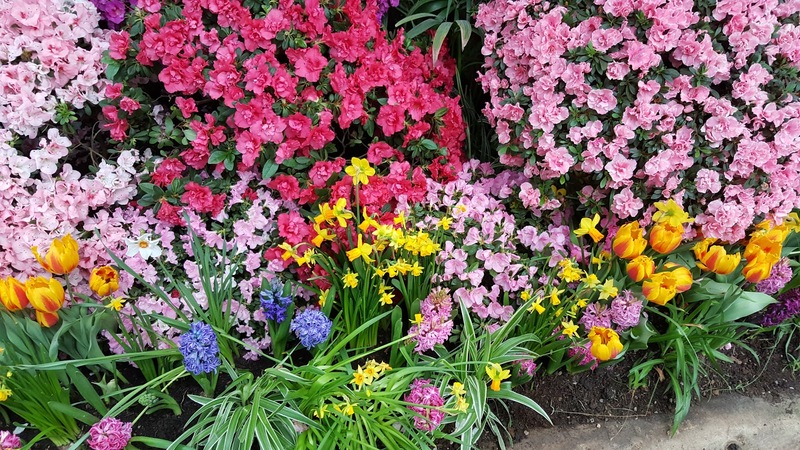 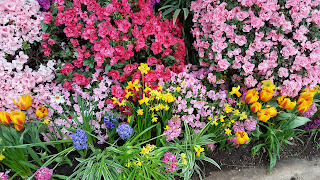 It was a great place to warm up on such a freezing cold day and was full of beautiful bright colours and smells of all the flowers. 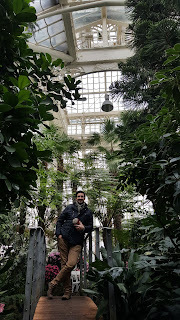 It doesn't take long to walk around the palm house but it was worth a look to imagine how on earth the building was constructed all those years ago. The construction is facinating! 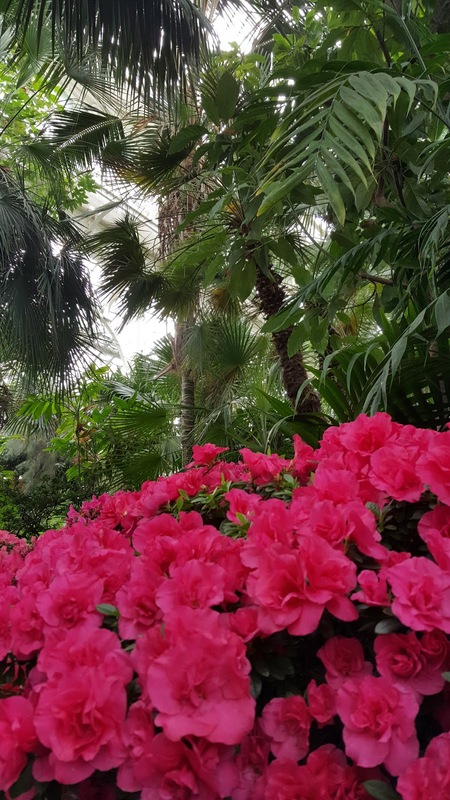 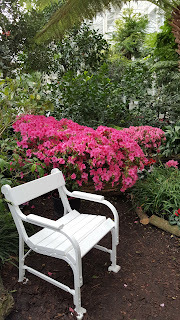 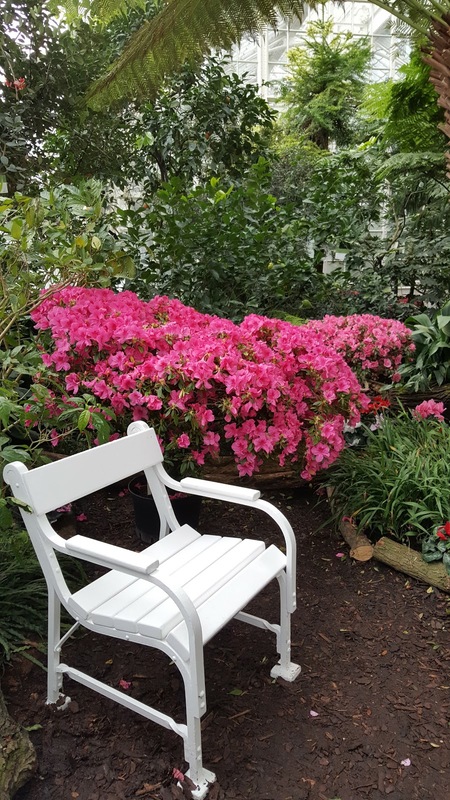 Beautiful flowers in the palm house at Schonbrunn Palace Vienna. Flowers in the palm house at Schonbrunn Palace Vienna. 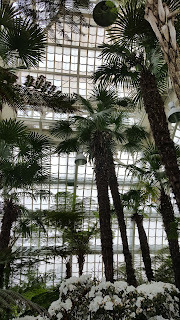 Opposite the Palm House is another greenhouse and this one was pleasantly even warmer! 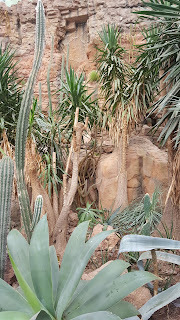 This one known as the desert house was full of cactus plants and even a few snakes and a lot of birds flying around the inside. 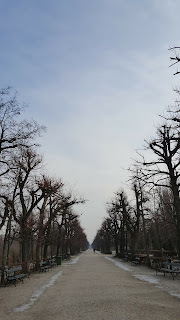 After an afternoon at the Palace Gardens we decided to walk back to our hotel to thoroughly warm up after being outside in such freezing temperatures. 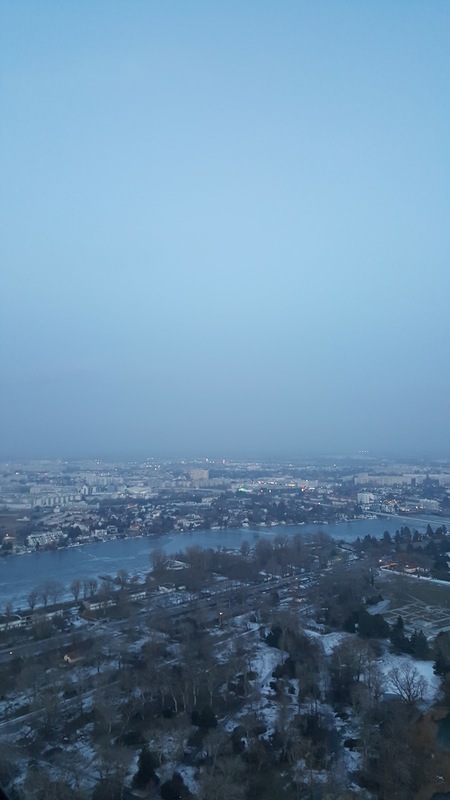 It's a totally different climate to being in the UK and the evenings regularly drop down deep into minus figures and the day times barely get above freezing and most days there was light snow falling in the air. Here is one of the tributaries of the river running alongside the railway line that is completely frozen either side of the flowing water. On our recent trip to Vienna when we heard you could visit the kitchen of a Viennese palace and watch how traditional Viennese Strudel is made and even taste the strudel and we jumped at the chance. 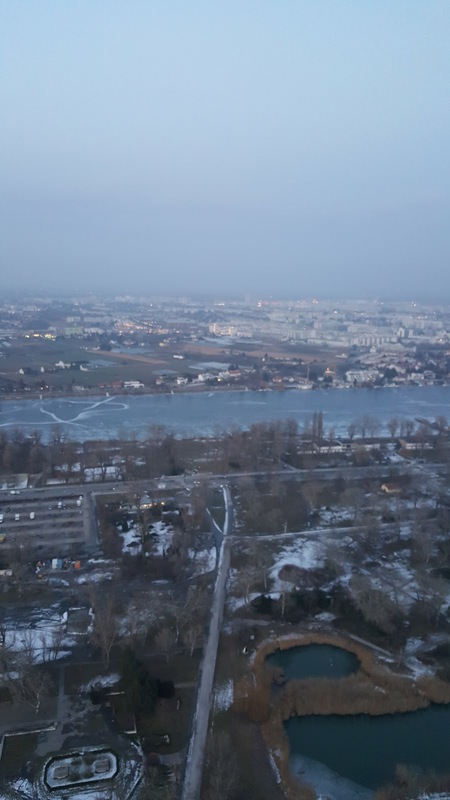 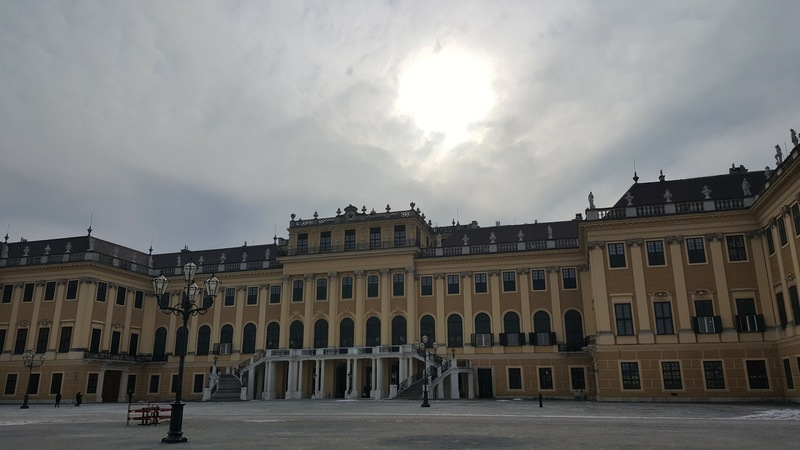 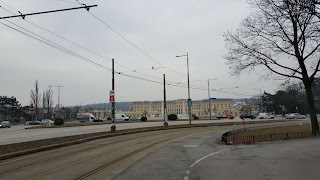 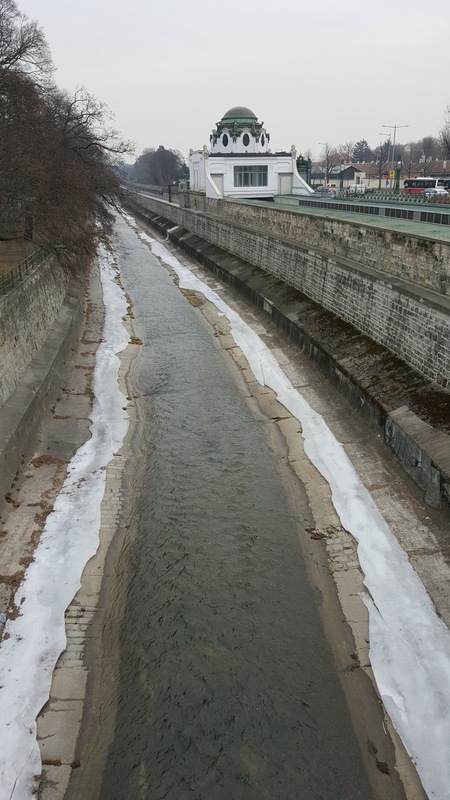 It turned out that the hotel we had chosen was a short walk down hill to the Schonbrunn Palace and it wasn't long before we were learning how to make Strudel, Viennese style. 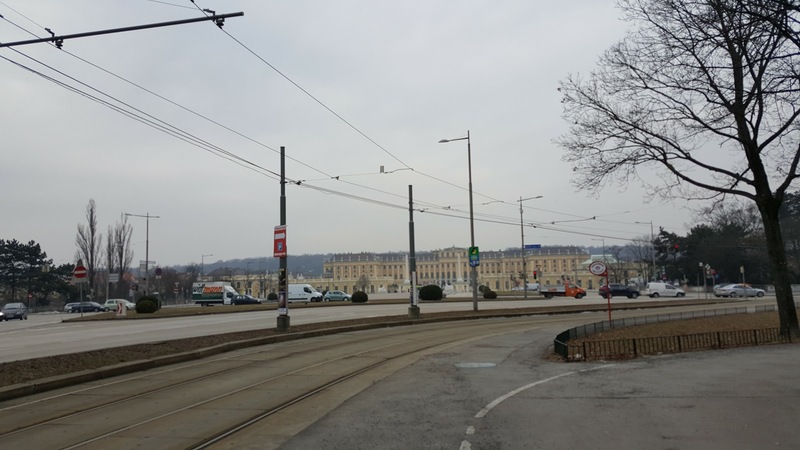 What we hadn't realised that how quiet the tourism scene is out of season. 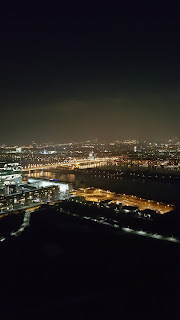 We had our own private viewing! At first we felt slightly uncomfortable as the lady that was showing us how to make traditional strudel was talking to the whole room even though there was only the two of us there. 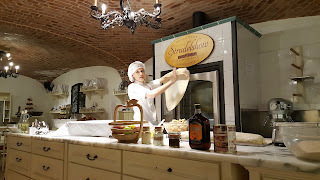 It was great getting our own personal demonstration but she could have just talked to us rather than on auto pilot talking to an empty room! 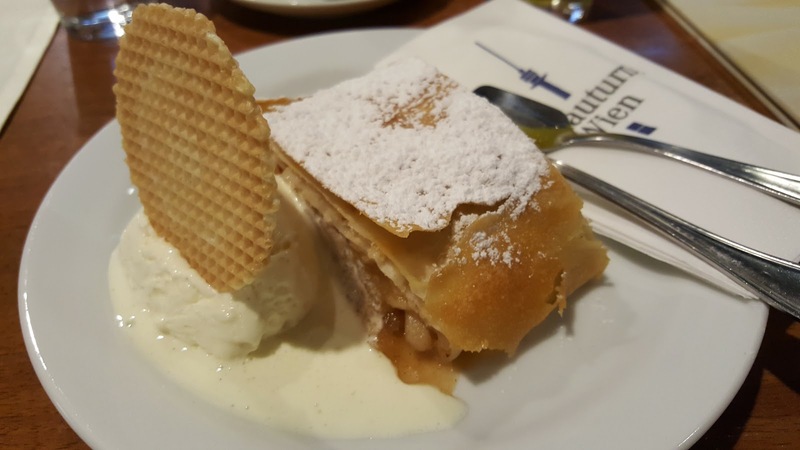 Now armed with the knowledge on how to make see through wafer thin pastry for strudel... we continue to buy British versions in the freezer section of our local supermarket as making that thin pastry bending it and folding it around your arm looked far too complicated!!!! Vienna was never a city on my bucket list of places to go but when the local Austrian zoo announced that twin baby pandas had been born there, a trip to Vienna was firmly on the cards. 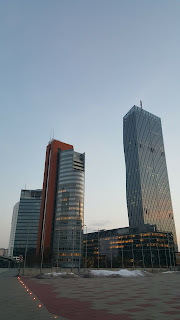 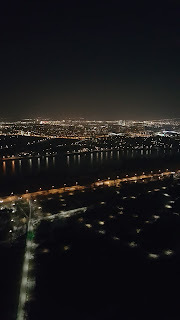 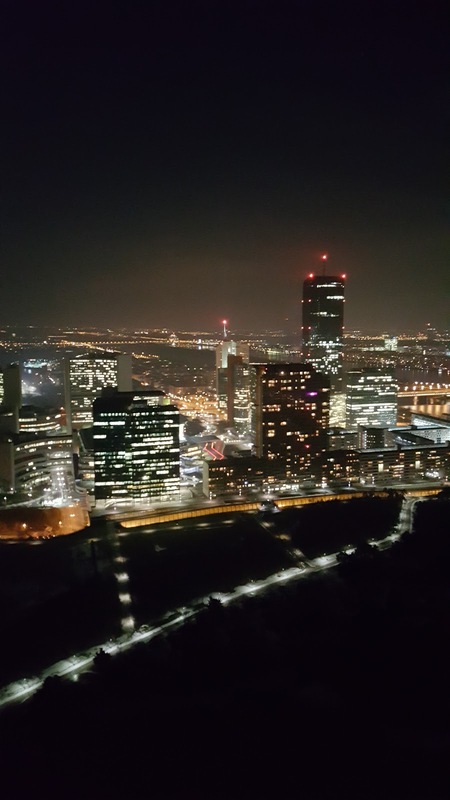 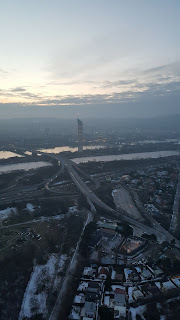 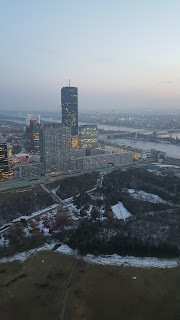 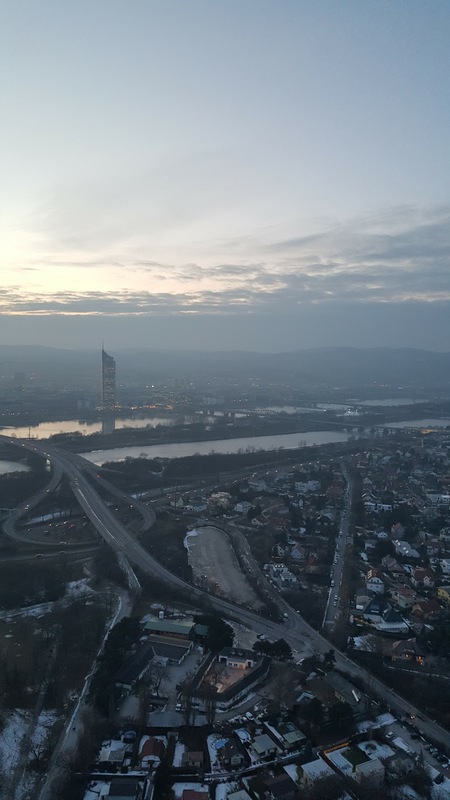 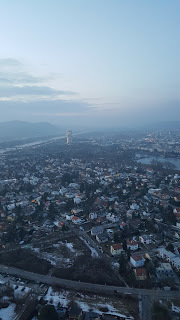 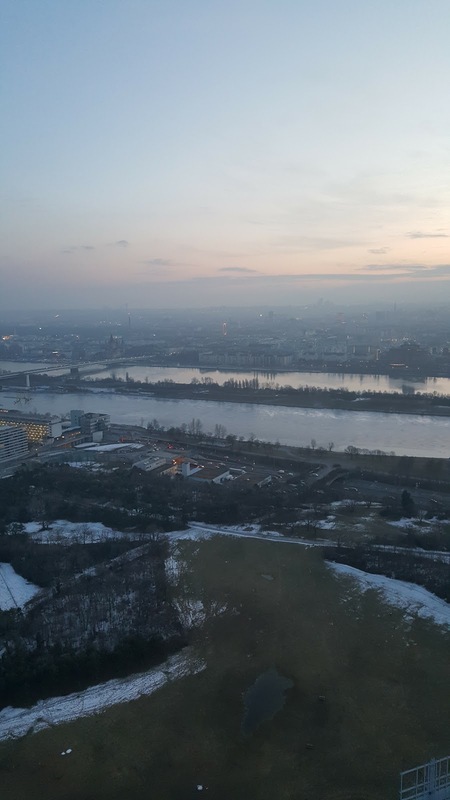 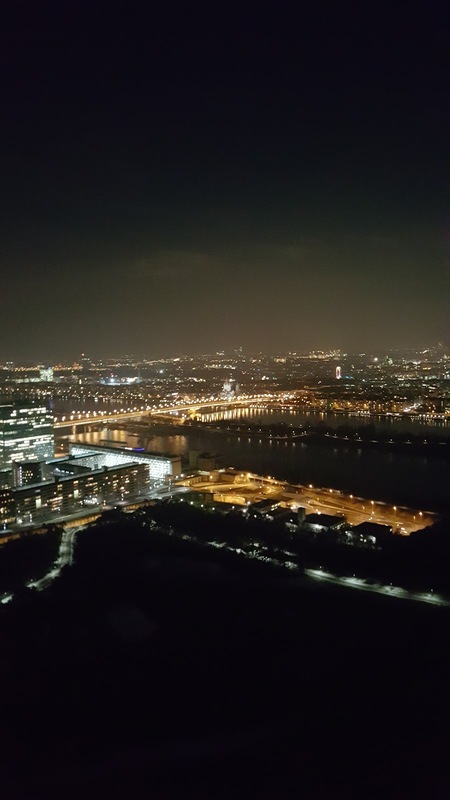 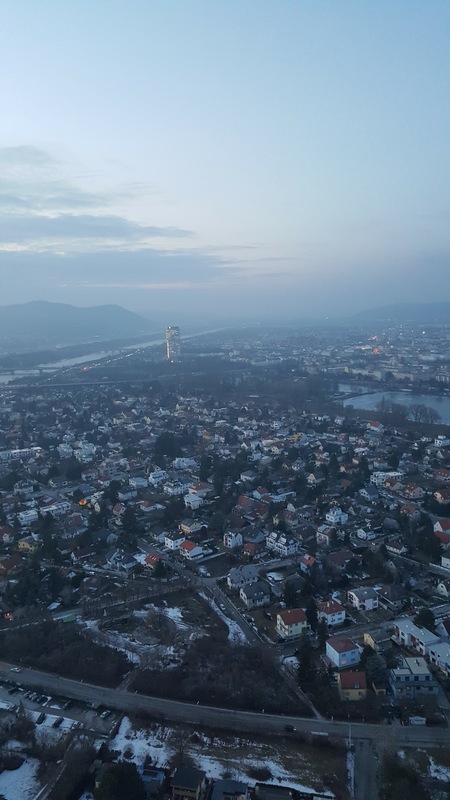 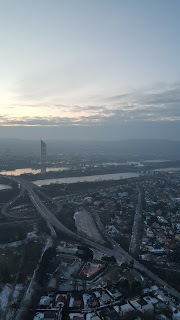 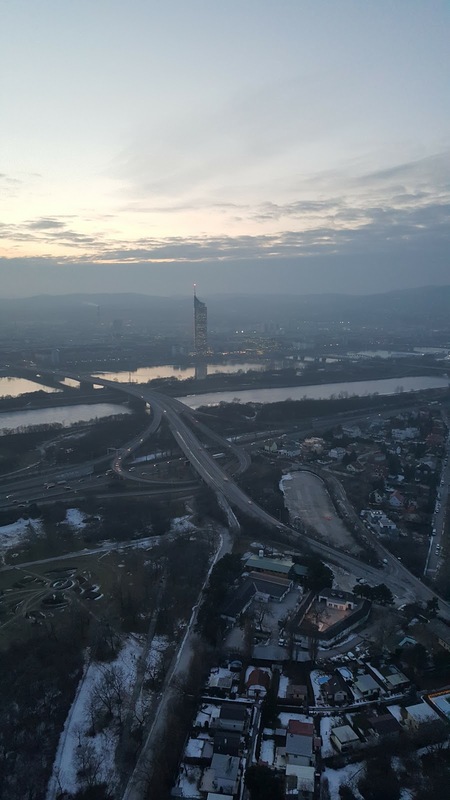 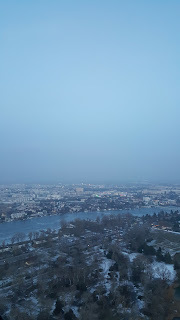 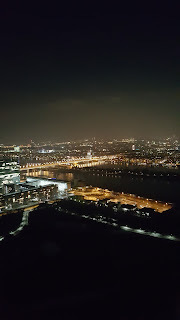 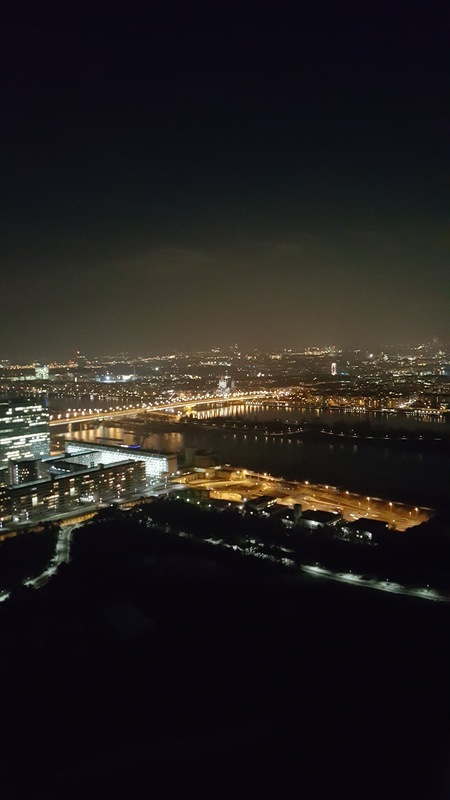 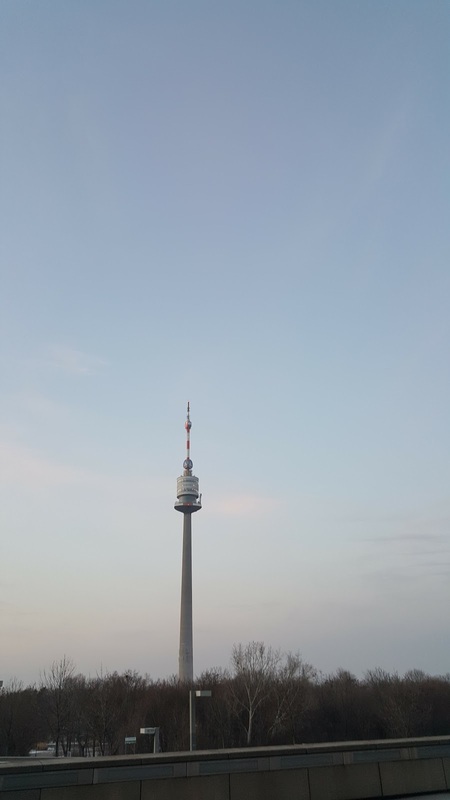 So far our city break had been amazing with boat trips on the river Danube and sight seeing from the top of the 1960's built Donautrum tower. 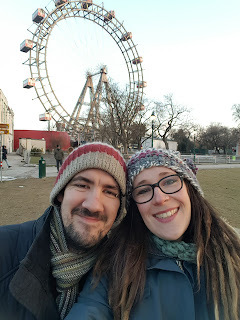 We continued to utilise our Vienna Pass that we had purchased and ticked off as many tourist attractions as possible. 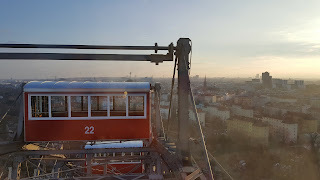 Next on the list was the Wiener Riesenrad. 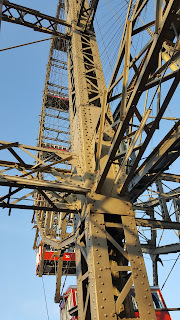 This is a giant vintage Ferris wheel that stands over 200ft tall on the edge of the cities amusement park. 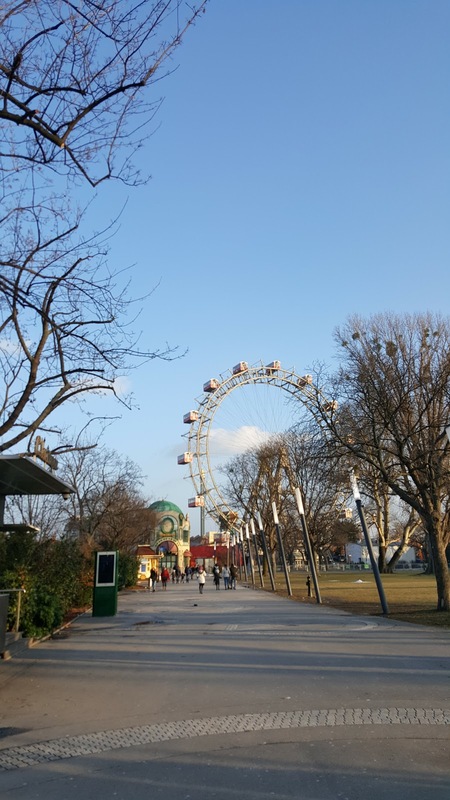 Sadly our visit was during a period when the amusement park, the Prater was closed but luckily the amazing Ferris wheel was open for visitors. 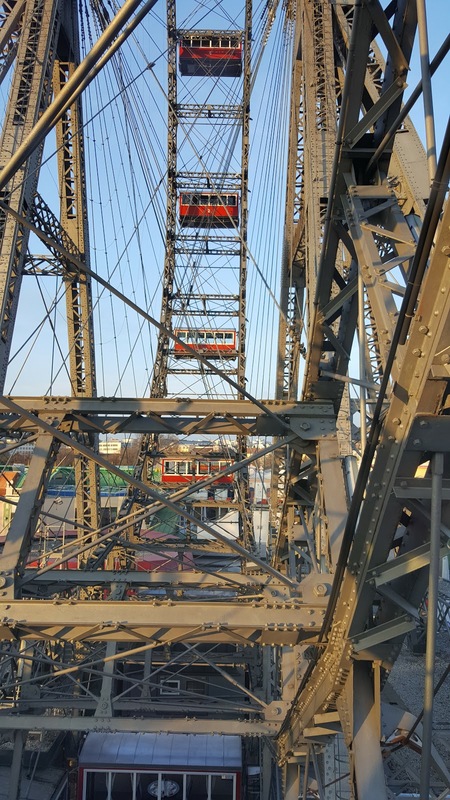 The Ferris wheel was constructed 1897 and until 1985 it was actually the tallest Ferris wheel in the world. 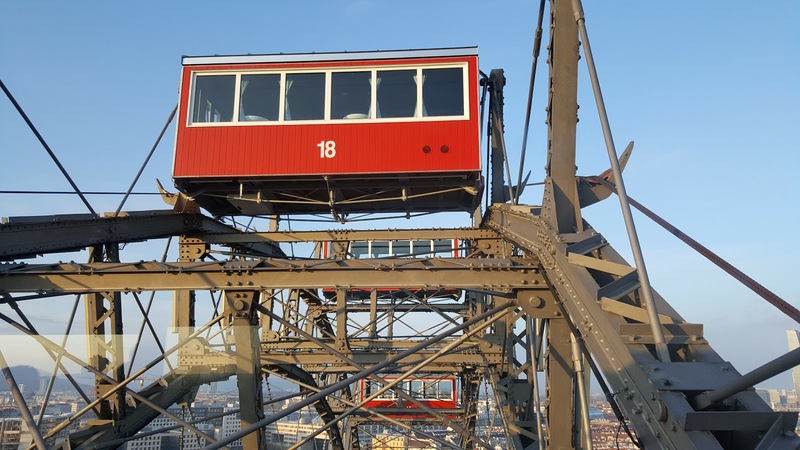 It was actually supposed to have been dismantled and removed 19 years after it's construction in 1916. 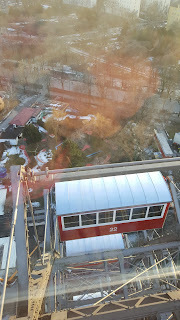 However the deconstruction couldn't be financed and the Ferris wheel survived. 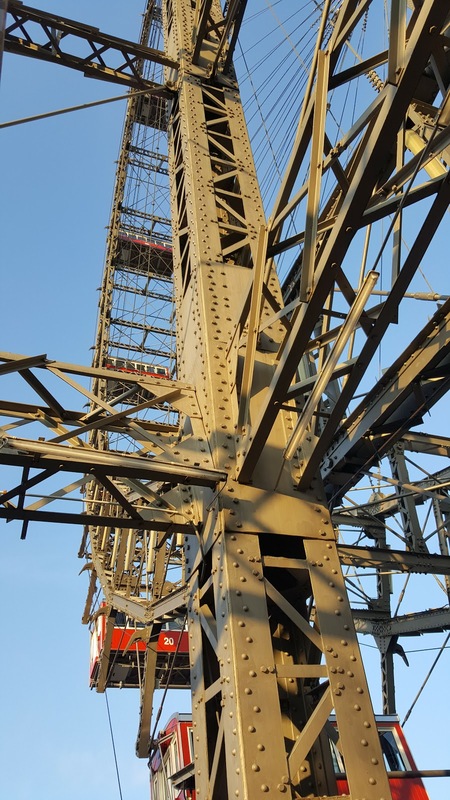 The Ferris wheel was badly damaged during the second world war and when the wheel was rebuilt only half of the gondolas were reinstated, you can see the gaps between the gondolas in my photographs. 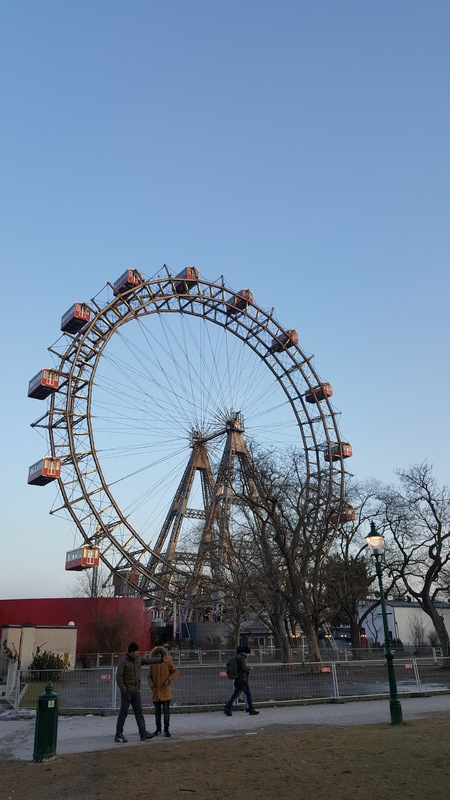 I'm not personally a fan of James Bond movies but I have been told that some rather romantic scenes were shot around the Prater amusement park and on the Ferris wheel in the film 'James Bond - The Living Daylights' From 1987. 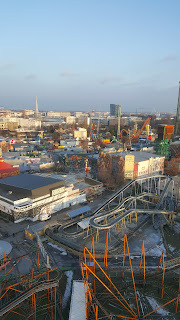 As we got off the train at the nearest station to the amusement park we were instantly greeted by the sight of the Ferris wheel. 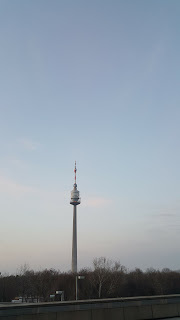 It really did look very impressive and we couldn't wait to go for a ride on the old girl. We used our Vienna pass that gave us entrance to the Ferris wheel and we walked around the museum section of the entrance and saw little models of the wheel and the area. 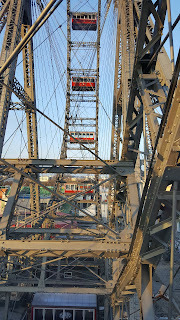 After a quick walk around we were ushered on the wheel and into a carriage. 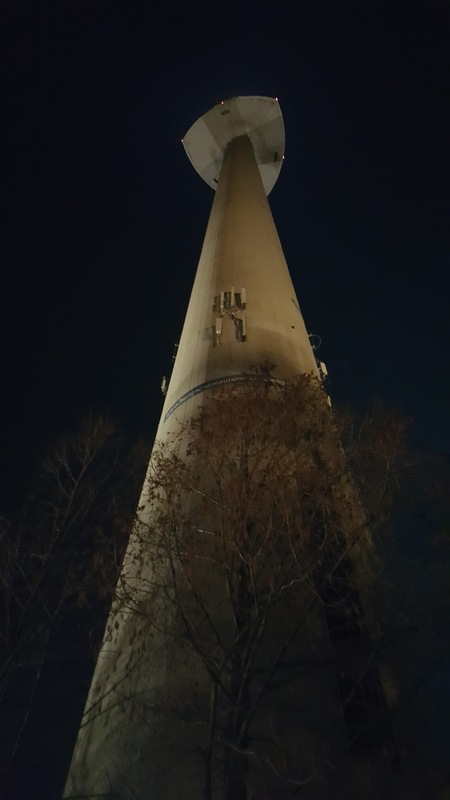 The wheel actually moves incredible quickly. 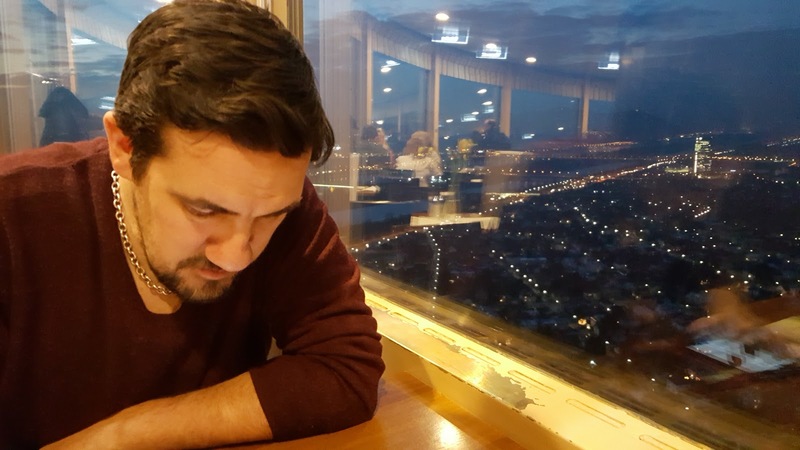 I think I compare it to the London eye where the wheel rotates at a leisurely pace and you have plenty of time to view the scenery of the skyline. However, this wheel moves a lot quicker but the scenery is still impressive. 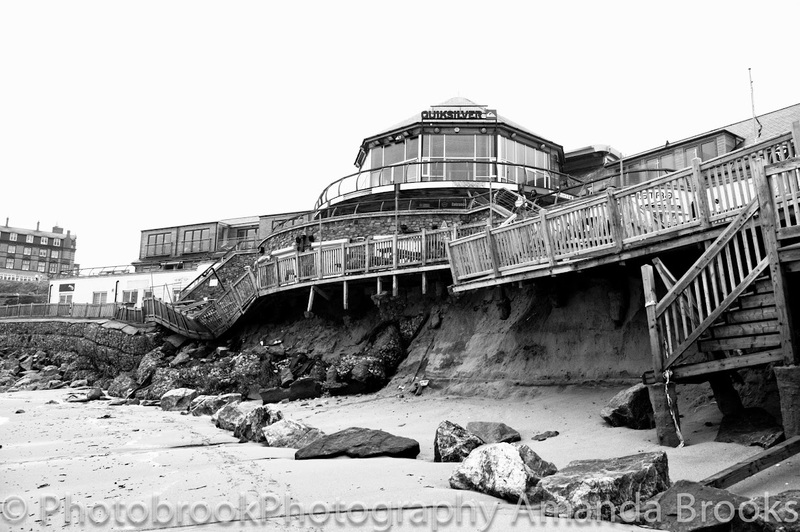 It's not a roller coaster but you are soon up and back down quicker than expected but still worth a visit. 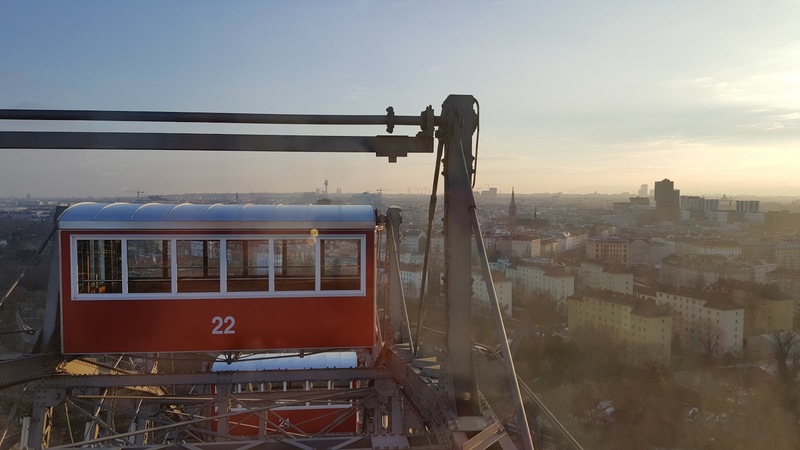 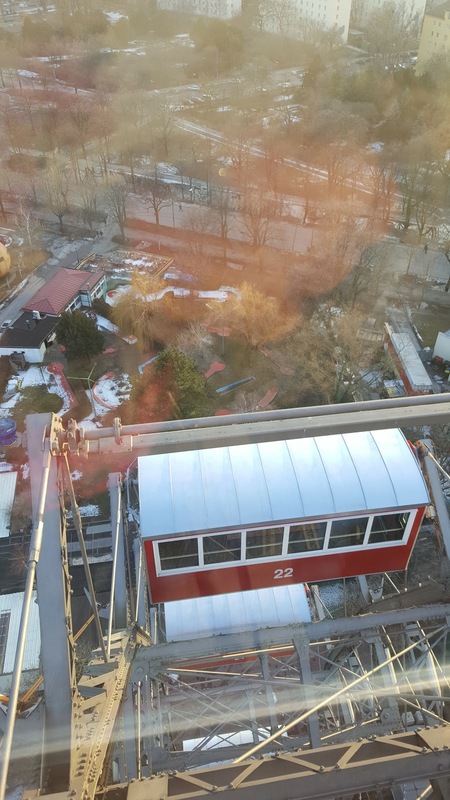 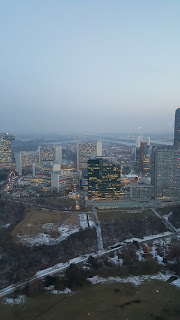 View from the Wiener Riesenrad Ferris Wheel Vienna. 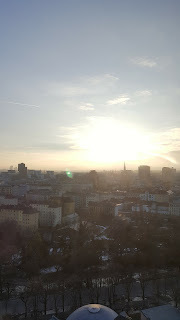 The sun was low in the sky and the city looks truly stunning. 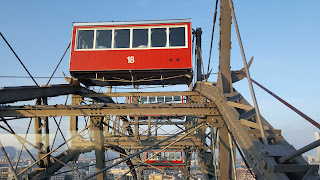 We were in the gondola with many other tourist and we each shuffled around the area to get different view points at different times. 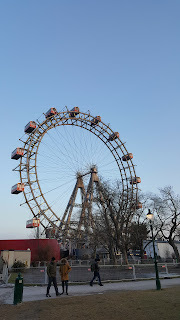 Going on a vintage 120 year old Ferris wheel was such an awesome experience and really was worth the visit and I would highly recommend the trip to any one getting a city break in Austria. 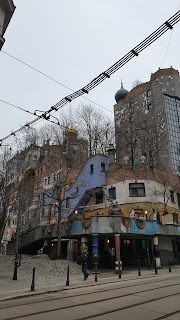 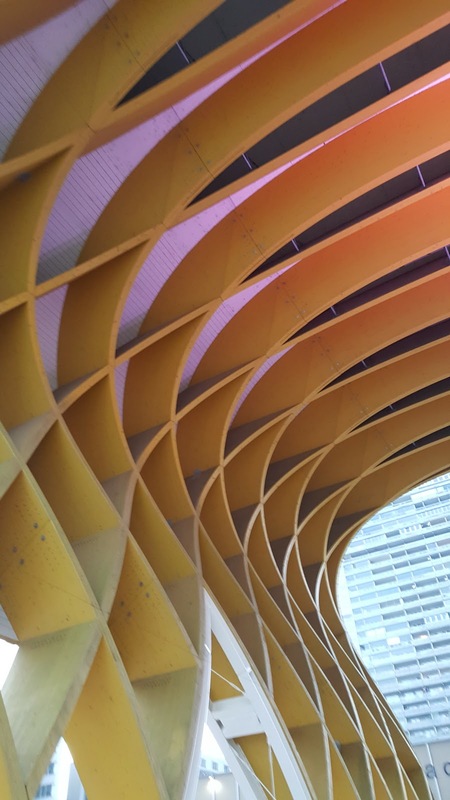 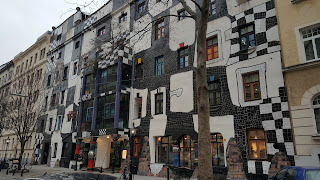 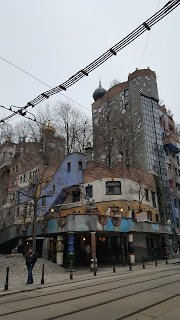 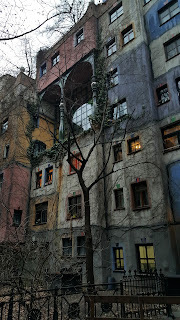 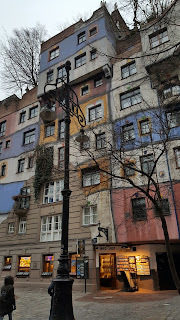 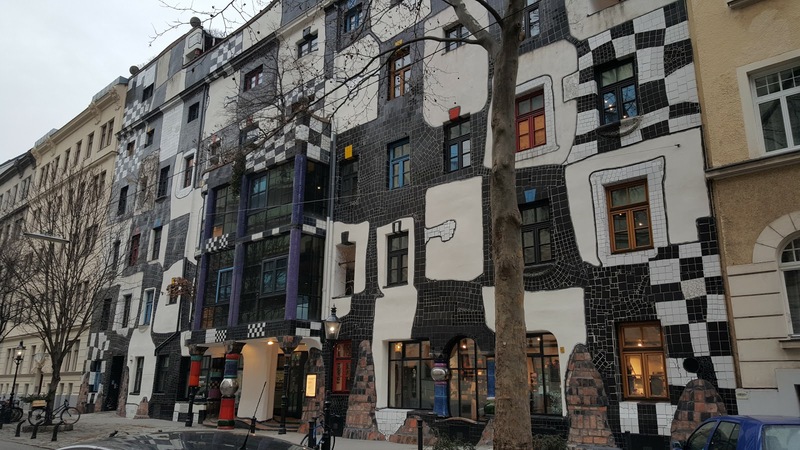 Next on our Vienna trip is to explore the random architecture at the KunstHausWien.